400 Thread Count Sheet Sets Starting At Just $29.99! Down From $80! PLUS FREE Shipping! You are here: Home / Great Deals / Amazon Deals / 400 Thread Count Sheet Sets Starting At Just $29.99! Down From $80! PLUS FREE Shipping! TODAY ONLY! At Amazon, you can grab this 400 Thread Count 100% Cotton Sheets starting at just $29.99 down from $80! Plus, enjoy FREE shipping! 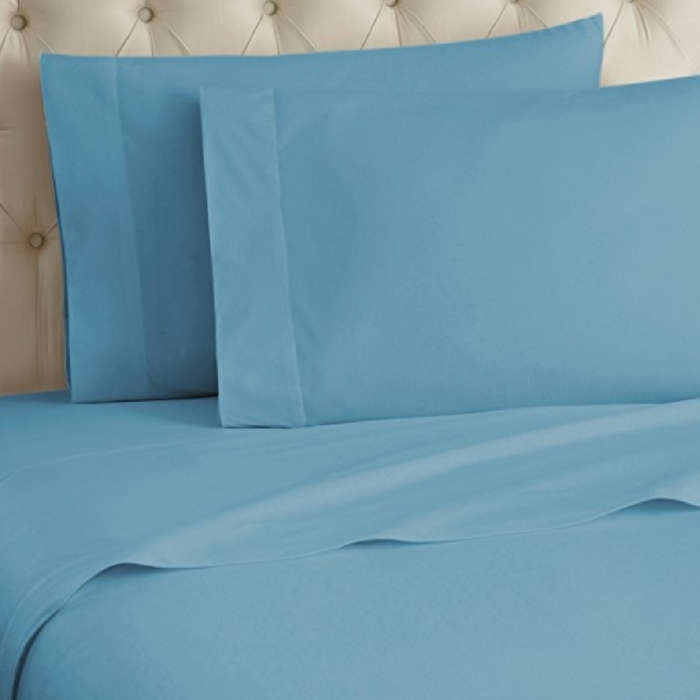 These luxury and highly rated bed sheets are available on Amazon in five different colors and include one flat sheet, one fitted sheet, and a standard pillowcase. Check out the other sizes as they are on sale too! Have you ever dreamt of waking up each and every morning feeling totally refreshed and beautiful? A good day always starts the night before, with a good night sleep. To ensure that your sleep is uninterrupted, a good bed and a good cotton bed sheet for your bed is a must. Sleep in luxury and comfort as this bed sheet is very cozy to sleep on. This bed sheet is woven from the finest cotton yarns to ensure super soft and luxurious feel that provides a long-lasting and specialized and soft finished. It is hypoallergenic and is safe if your skin is sensitive and prone to allergies.